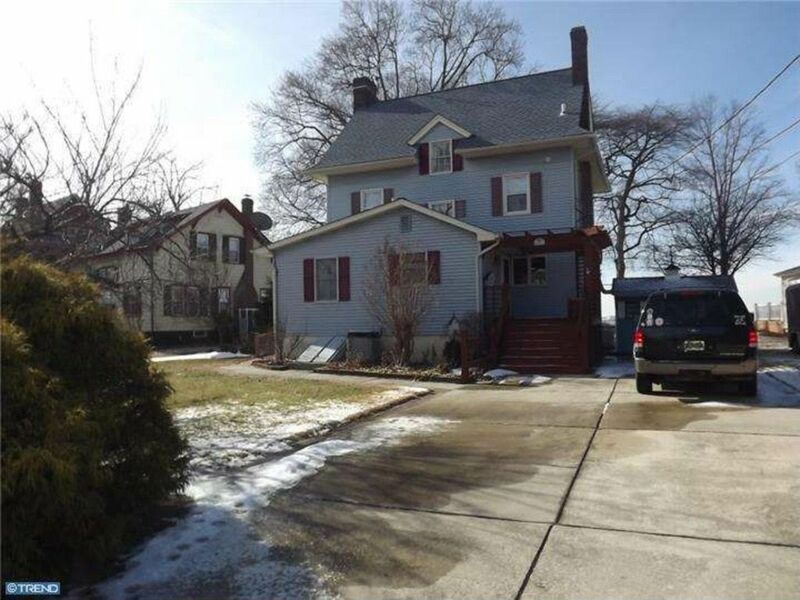 A Penniman Bungalow - in Larchmont! 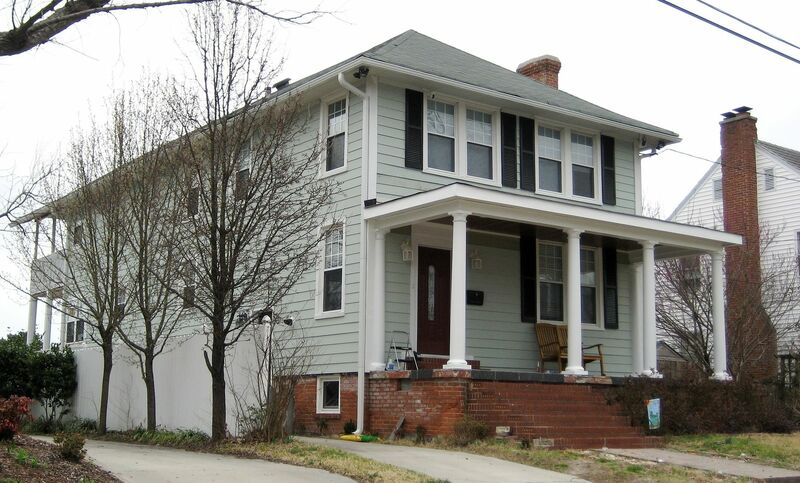 Larchmont is a prestigious neighborhood in Norfolk, filled with stately Colonial Revivals, Cape Cods, Dutch Colonials and Neo-Tudors from the 1920s and 30s. As far as older neighborhoods go, Larchmont is one of Hampton Roads’ most expensive communities, and prices range from $350,000 to $1.2 million. But you might be asking yourself, what’s a Penniman house? Penniman was a World War One munitions plant, built by DuPont, about six miles from Williamsburg. 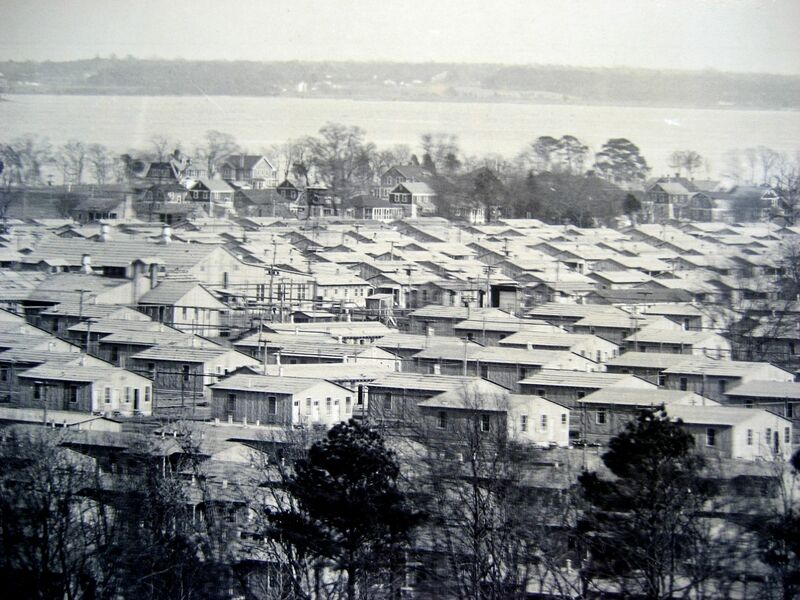 The village of Penniman sprung up around the plant, and by Summer 1918, about 15,000 people were living on the 6,000-acre site, with two miles of frontage on the York River. 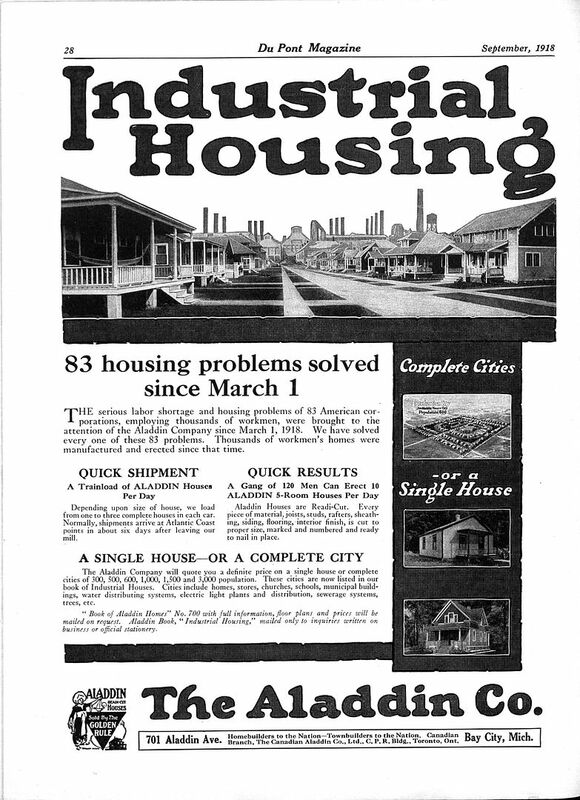 More than 5,000 laborers and carpenters worked long hours building dorms and apartments and cottages and houses. 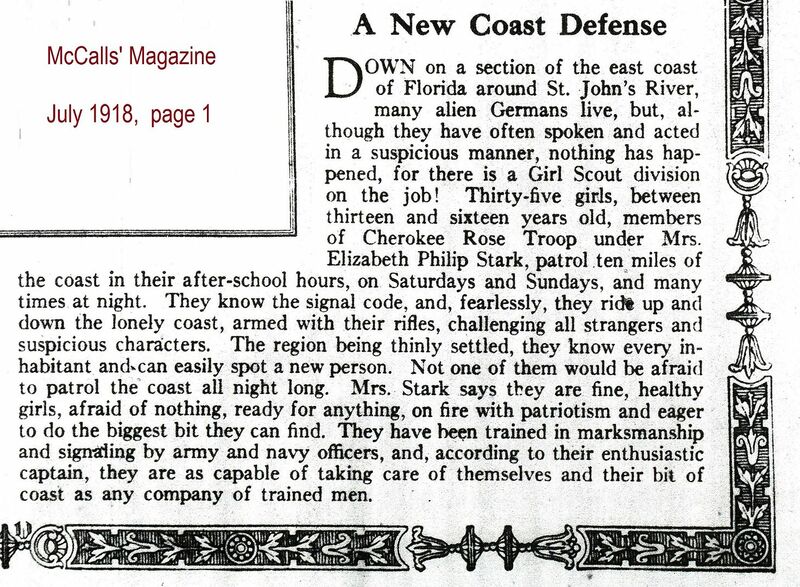 Large caliber artillery shells were loaded at the plant and sent onto Newport News, by rail, where they were loaded on troop transports and shipped to the Western Front in France. 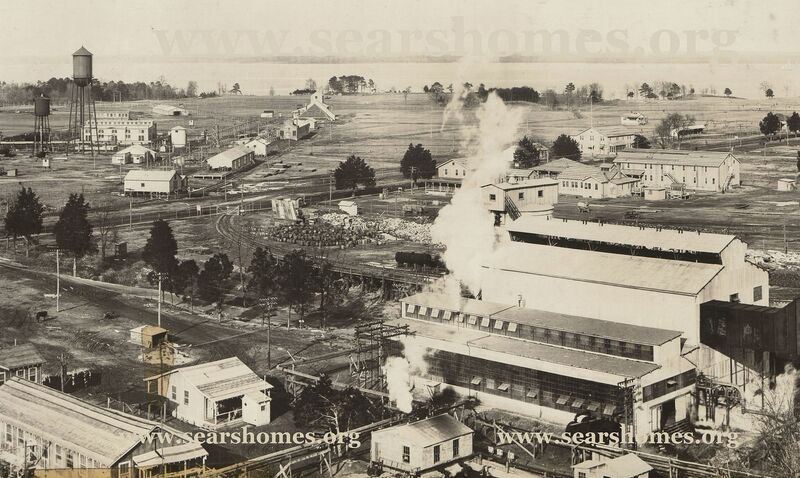 Penniman was one of the largest shell-loading plants in the country and according to The History of Explosives, workers at Penniman produced more than 27,000 shells per day. 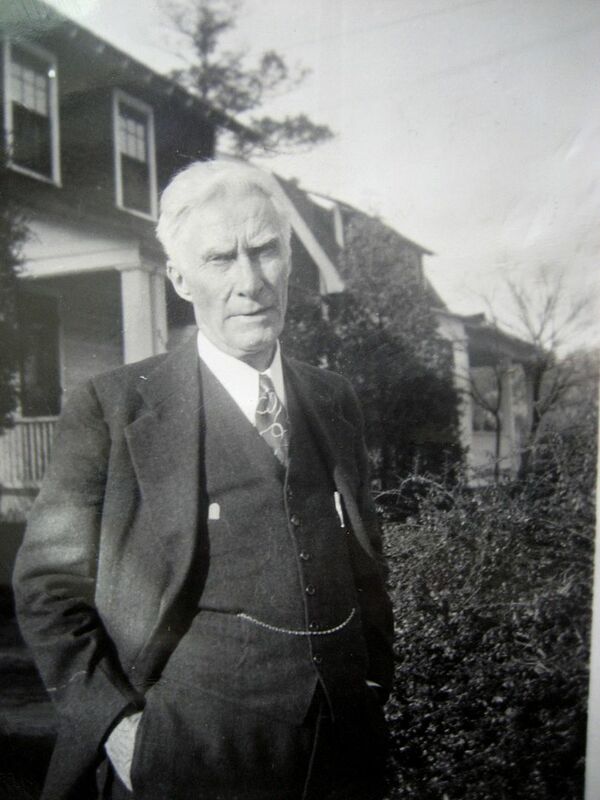 The houses built at Penniman were designed by DuPont, built by Hancock-Pettyjohn, a Lynchburg contractor, and paid for by Uncle Sam. The finer houses were closer to the York, and were occupied by higher-end management, and were offered in more than a dozen designs. 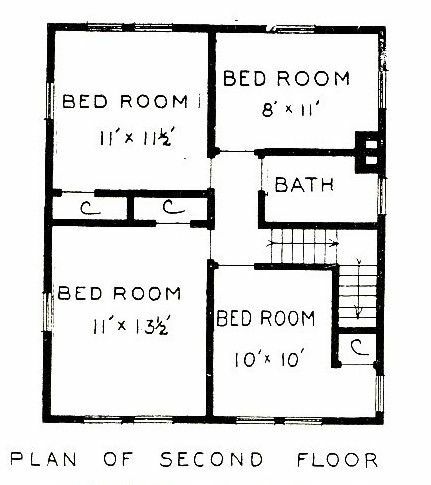 “The Cumberland” (shown below) was not the biggest and not the smallest, but probably leaning toward the upper tier of housing options at the plant. When the plant closed down after The Great War, the houses (most of which were less than six months old) were not torn down but salvaged. Two Norfolk men (Warren Hastings and George Hudson) purchased several of the houses and moved them - by barge - to Norfolk. 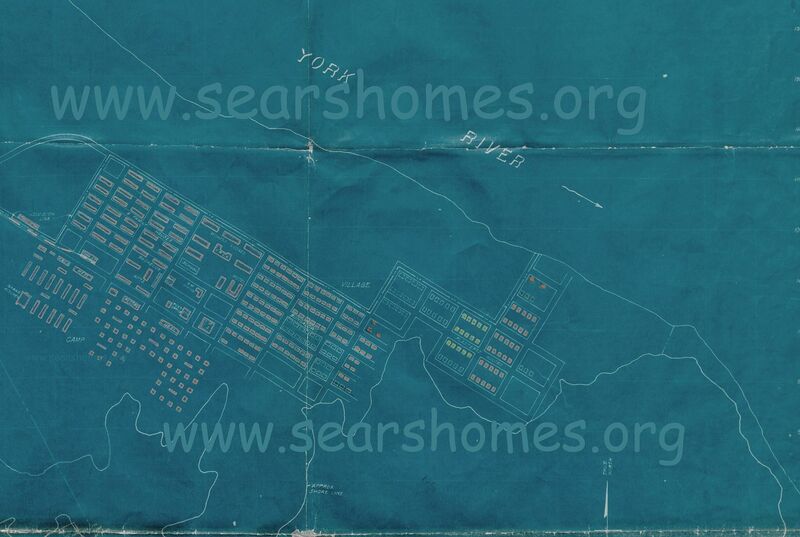 Before last week, we knew of 20 Penniman houses that had been moved to Riverview, 27 to Riverfront and 4 to Willoughby Spit. That was it, and frankly, that seemed like a lot, but we suspected there were more. How to find them? When I first saw his text I thought, “Whoa, wouldn’t THAT be a story!” but I had my doubts. After all, Larchmont is a high-dollar, impressive community full of fine homes. 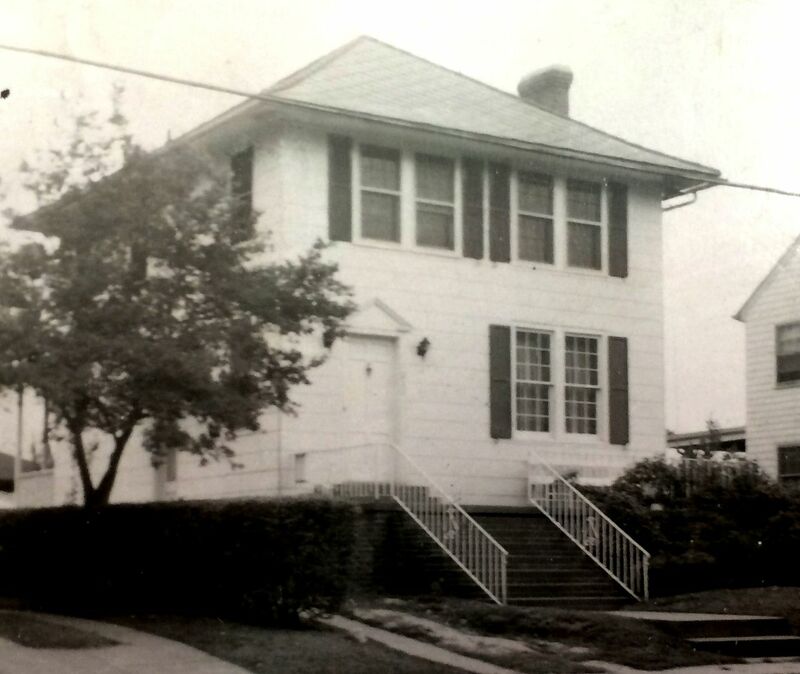 Was it really likely that someone had moved a war-time frame house into Larchmont? 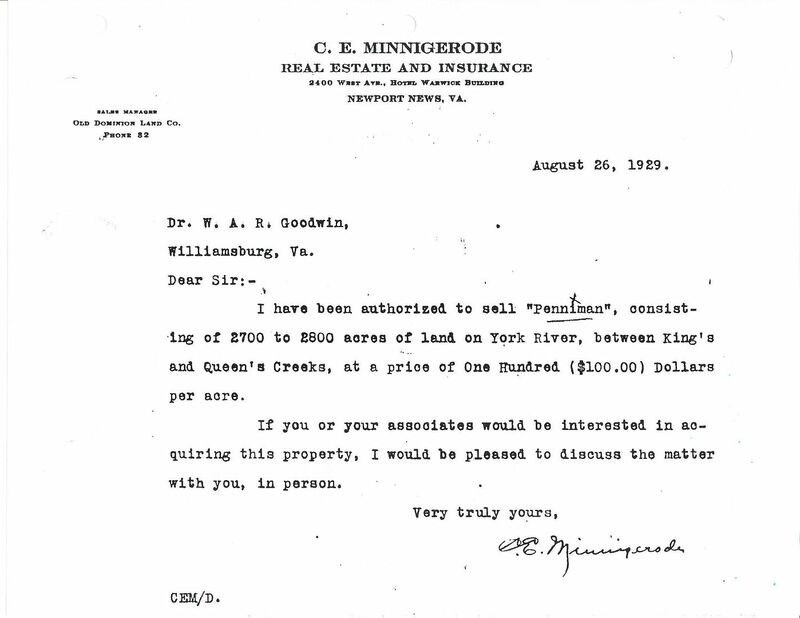 I googled the address he gave me and within a few seconds, I realized Bill was right: It was a “Cumberland” from Penniman. 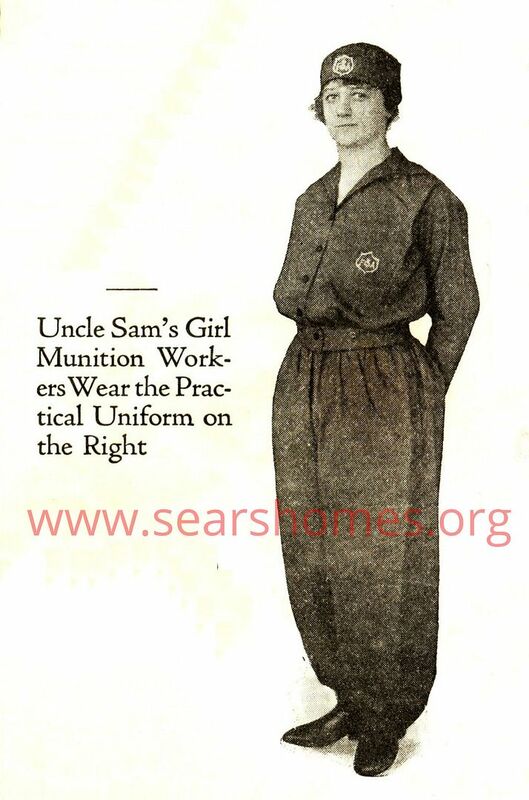 When I write about unusual Sears Homes, I often wonder, “Do the people living in this house know what they have?” Based on my research, about 75% don’t know that they’re living in a Sears House. What are the odds that people know they have a Penniman? I’d say it’s a lot less than one percent! 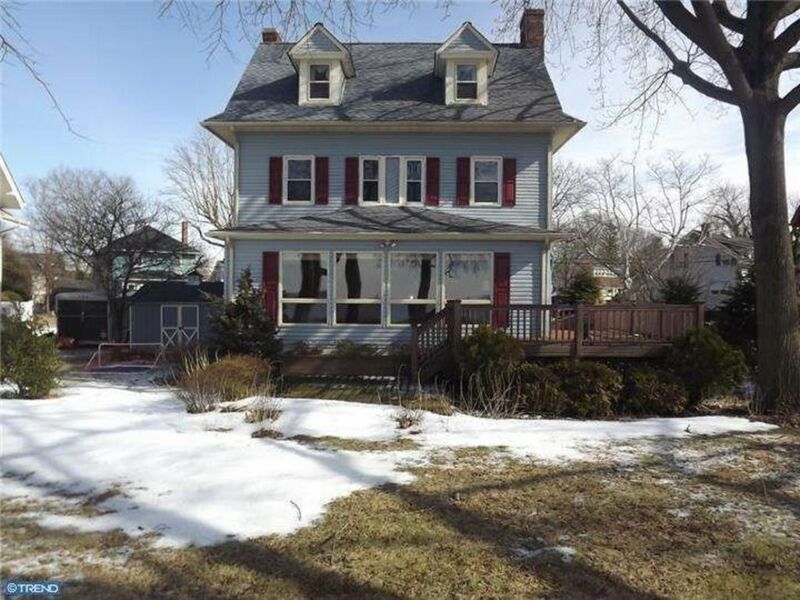 Thanks so much to Bill for all his help and for finding this house! If you enjoyed this blog, please share it with friends or post the link on Facebook! Penniman was a very crowded place, occupied by 15,000 at its peak. 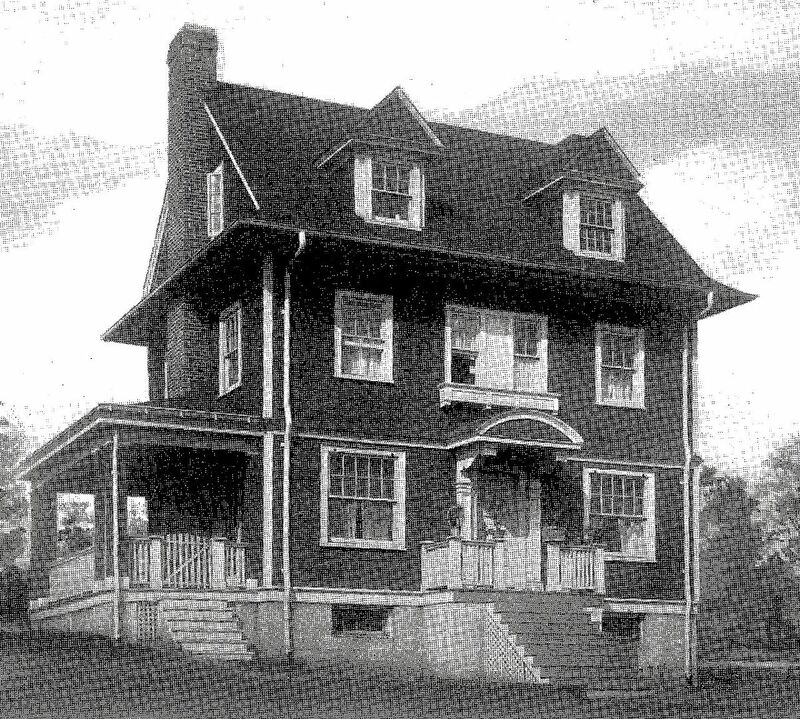 The houses that were moved to Norfolk are the two-story houses in the background of this photo. Picture is courtesy Hagley Museum and Library. 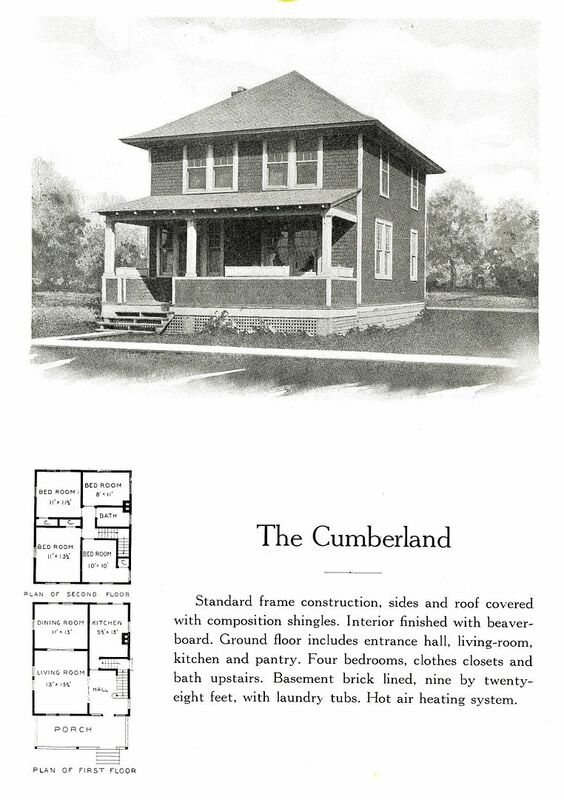 The model that ended up in Larchmont is The Cumberland. 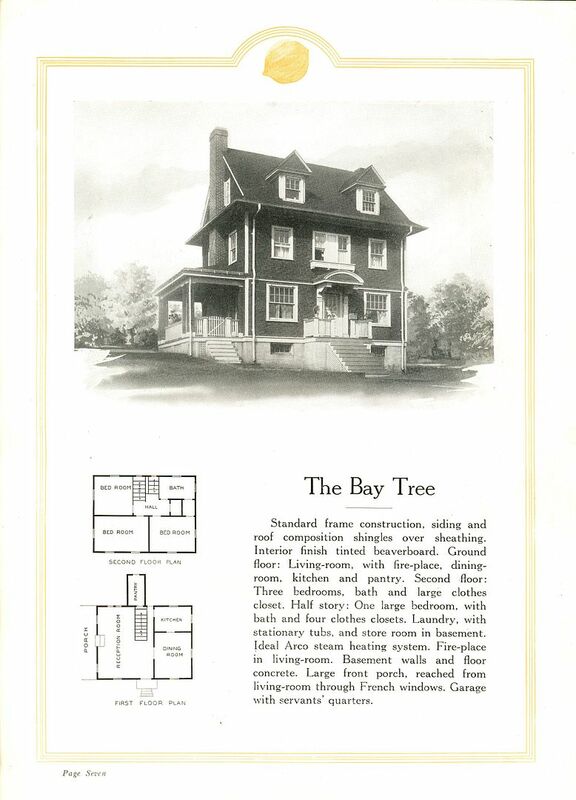 Designed by DuPont for their plants, this house was also built in Old Hickory, Tennessee, another munitions plant. The Cumberland was one of their nicer homes, but it's still not very big. 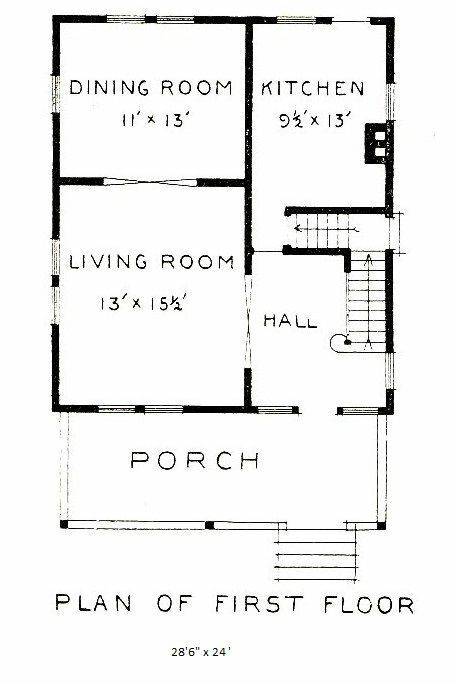 That's upstairs bedroom is 8x11. In the 21st Century, we call that a closet. 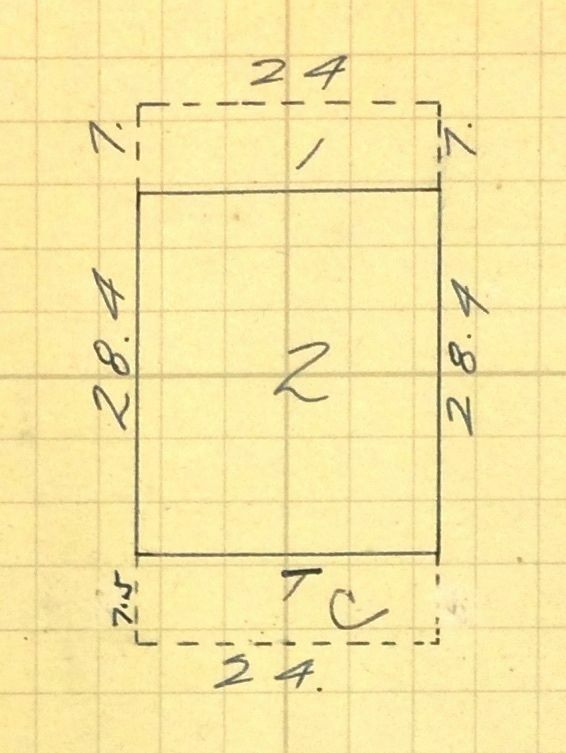 The Cumberland was a traiditional foursquare. 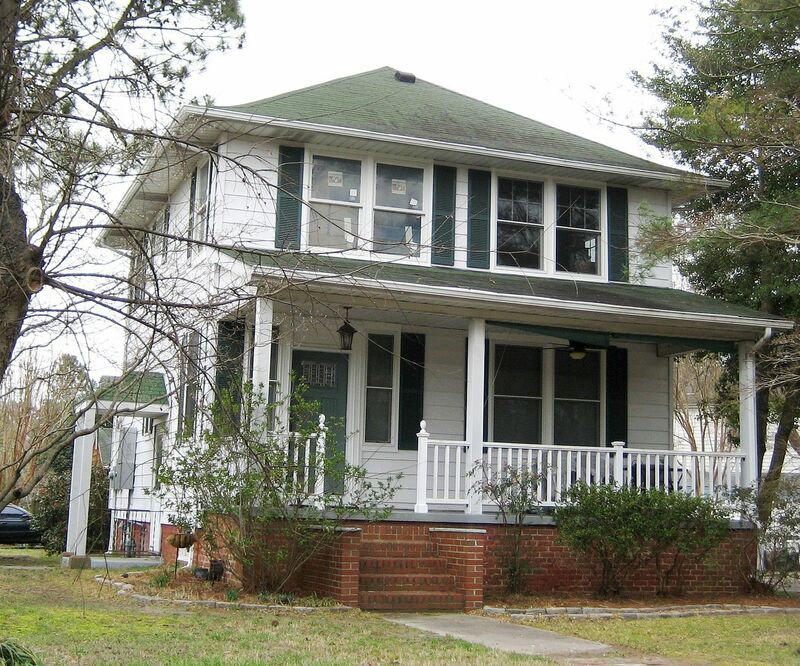 A distinctive feature of many of these DuPont houses is the windows flanking the front door, and a fixed transom over the door. About 50 years ago, this metal tag was found near the site where the Penniman houses were originally built, and probably served as a chit for workers checking out tools from the tool shed. 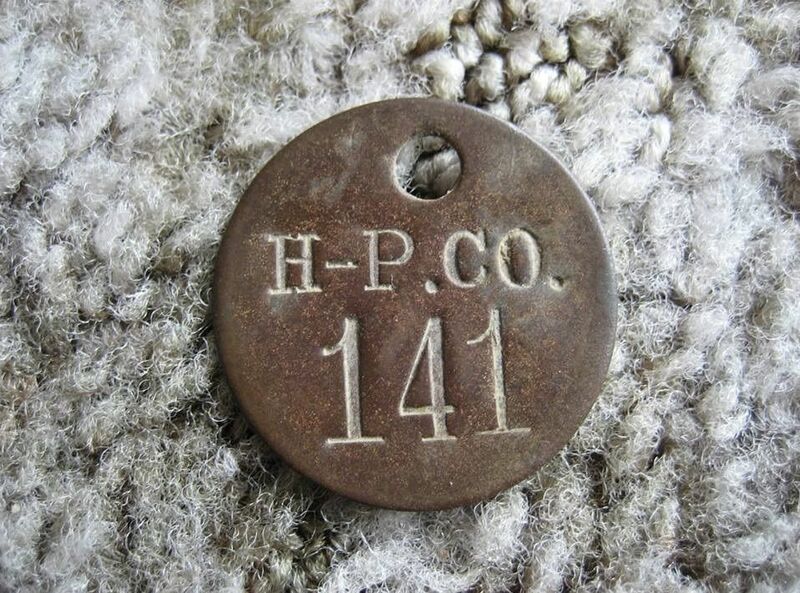 The "H-P. Co." is for Hancock-Pettyjohn, the Lynchburg-based company that built the houses at Penniman. 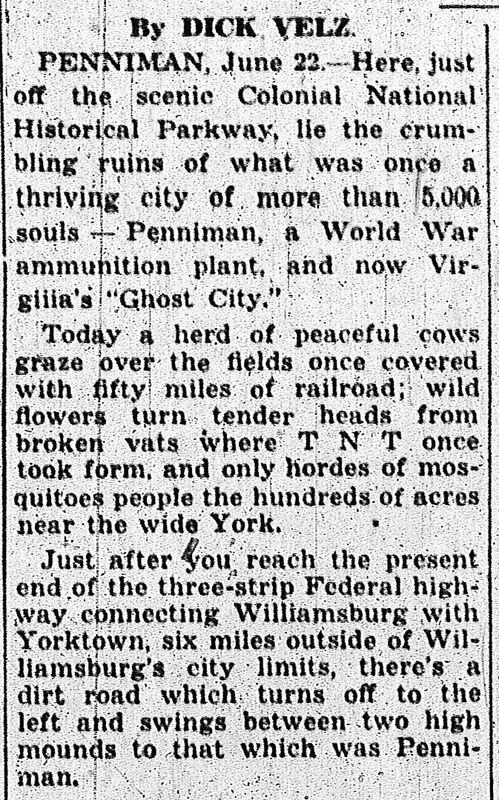 In December 1921, this appeared in the "Virginian Pilot," showing the houses coming from Penniman to Norfolk. To the right are two Cumberlands - back to back. Here's a Cumberland in Riverfront (on Major Avenue). Notice the windows next to the door. There's another Cumberland next door to this one. Prior to Bill's discovery, these were the only two Cumberlands we knew about in Norfolk. 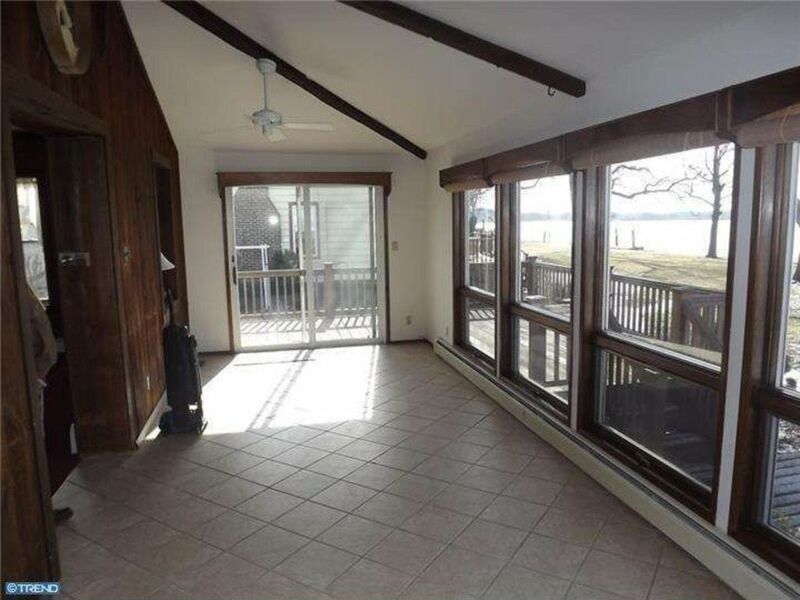 According to assessor records, the porch on the Larchmont "Cumberland" was removed in 1957, which is a real pity. 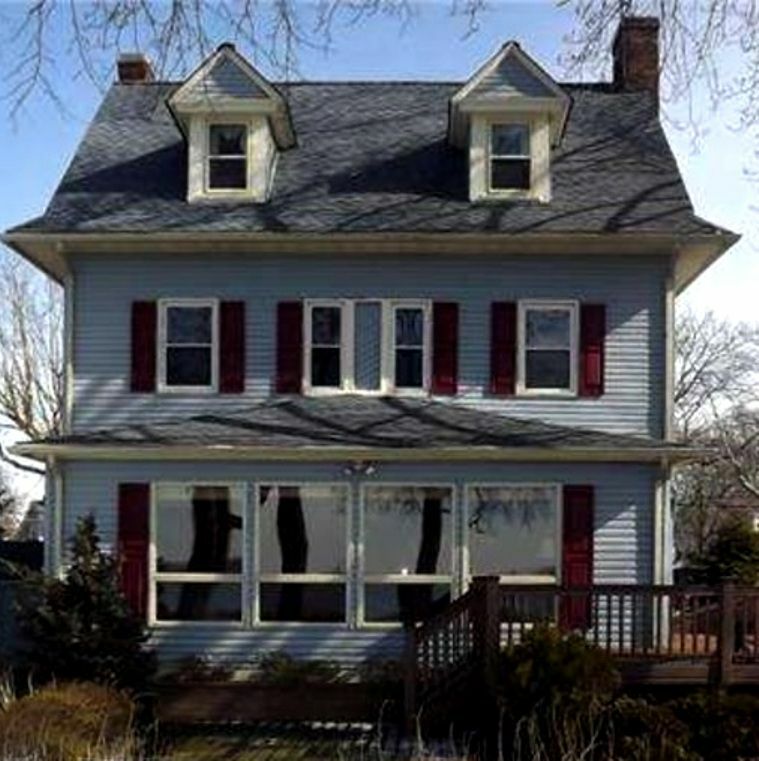 As shown here, the house has been covered in substitute siding, and that's probably when the windows and transom disappeared (by the door). This photo was taken in 1959. 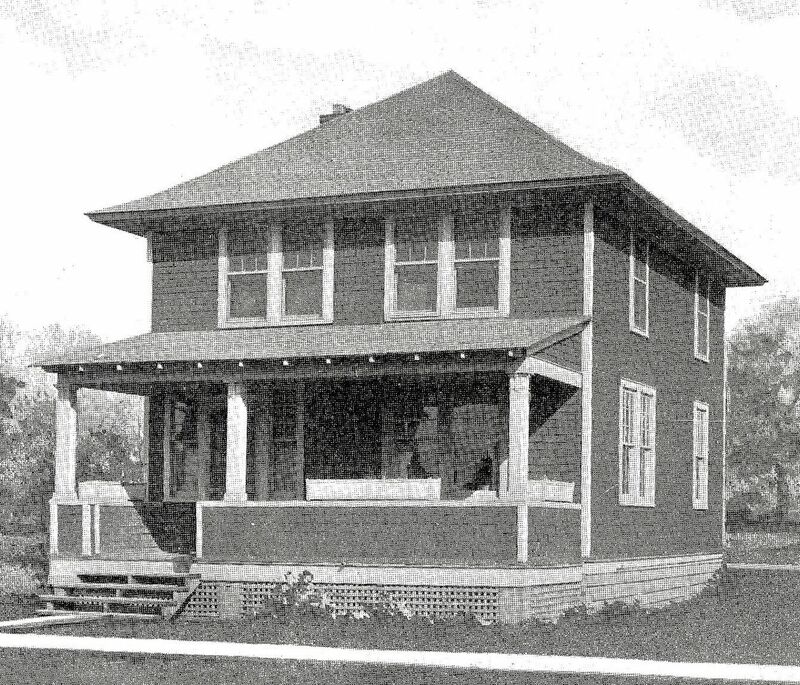 The city records say the house was built in 1920, but in fact, it was built in Spring of 1918 by Hancock-Pettyjohn and moved (by barge) to its current site in 1921 or 1922. 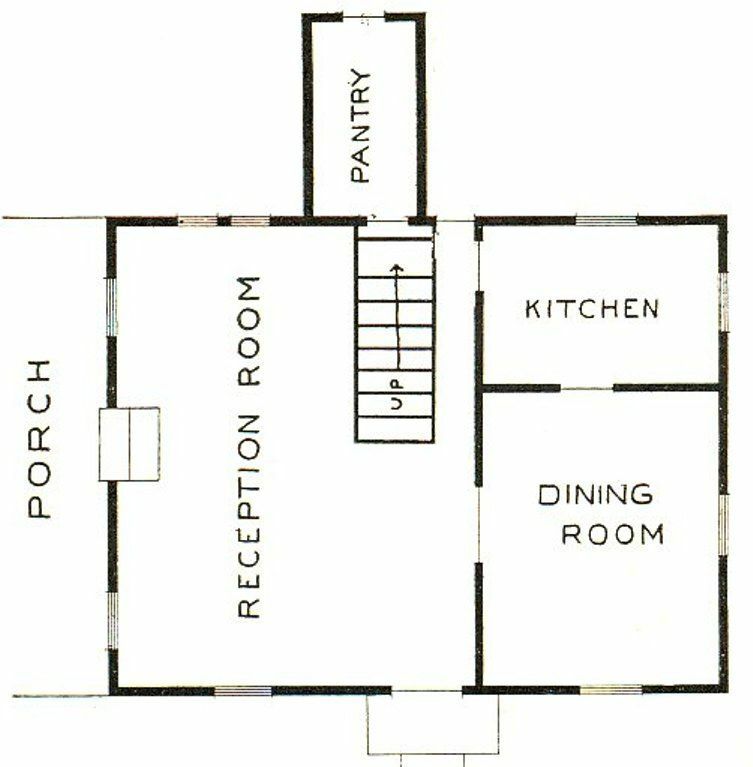 According to the city's information, the dimensions for the house are correct. 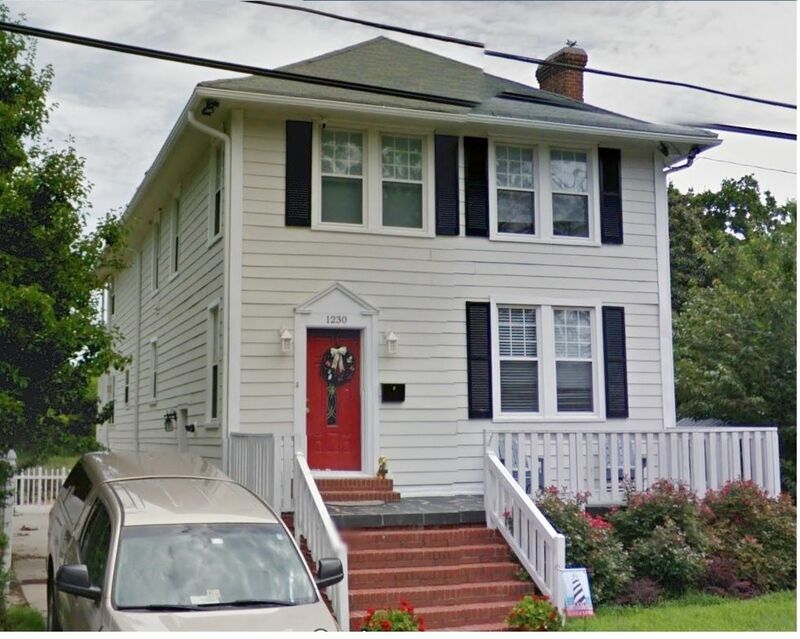 An image from Google Maps (2015) show the house with new siding (third layer) and replacement windows. Yesterday, when Milton and I drove past the house, the porch had been restored and it looks like the homeowner did a fine job. 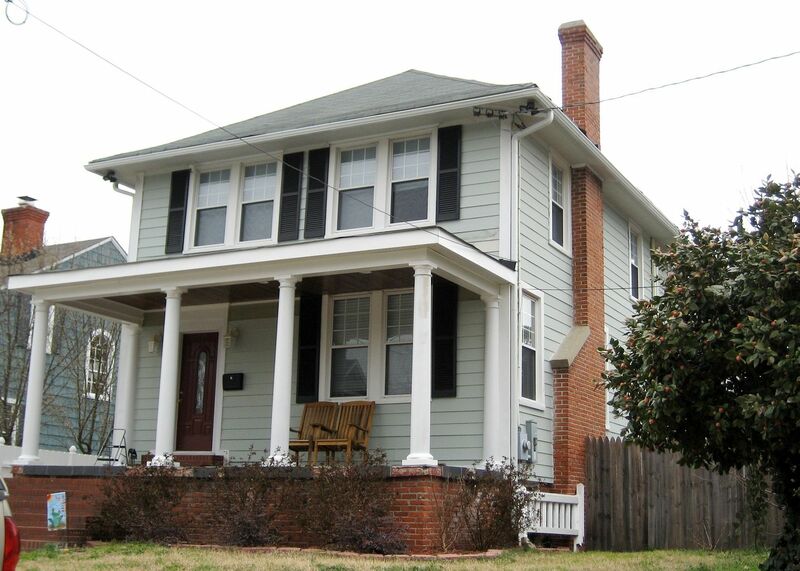 And it looks far better with a porch. Not sure what's happening with the transom. 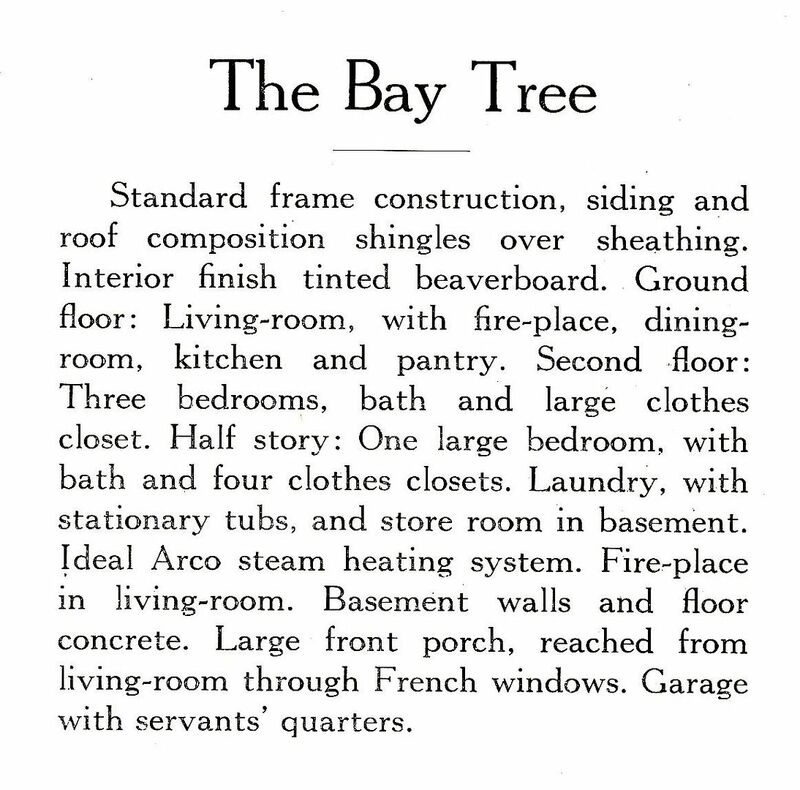 Do they know that their house was born in Penniman, and then traveled by barge to Larchmont? 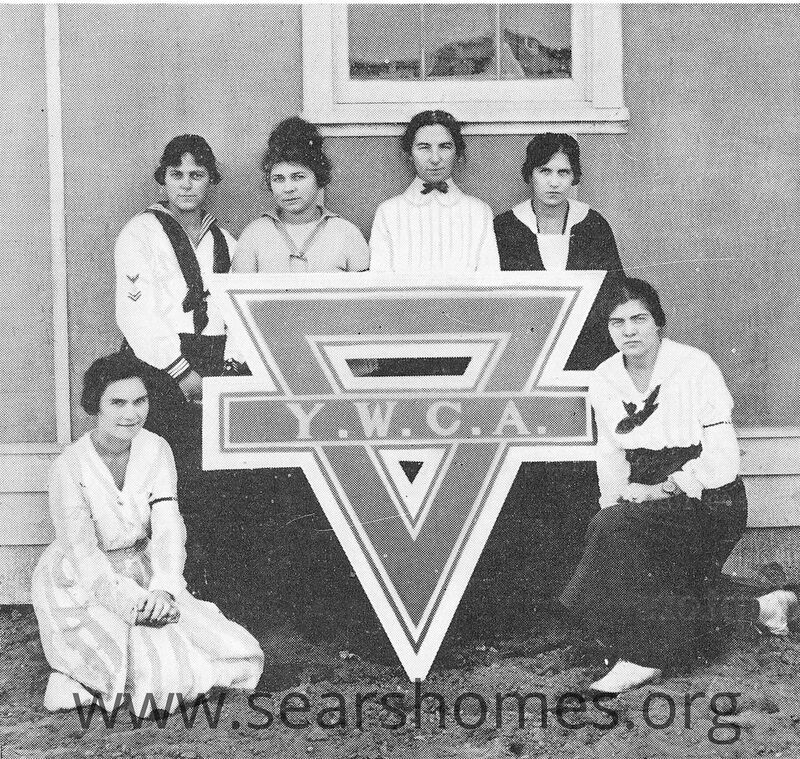 Do they know that their house looked like this in 1918? 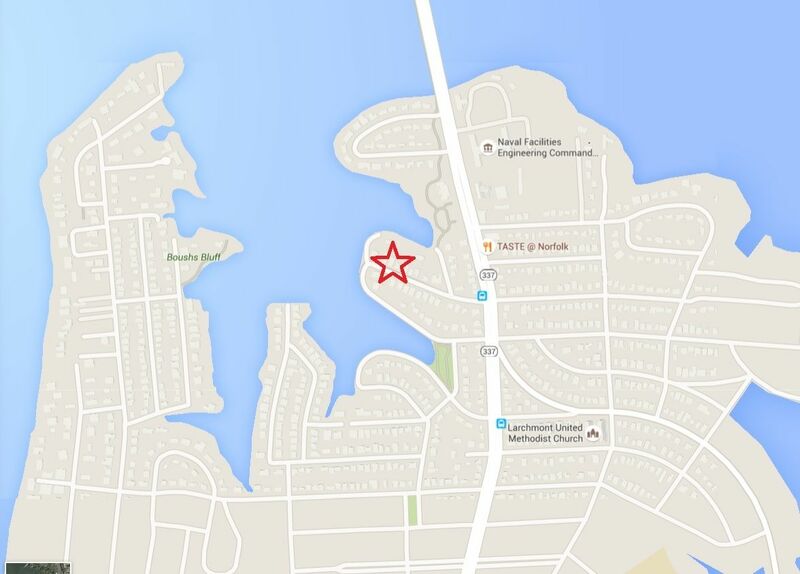 If you look at a map of the home's current location, you can see how accessible it is by water. 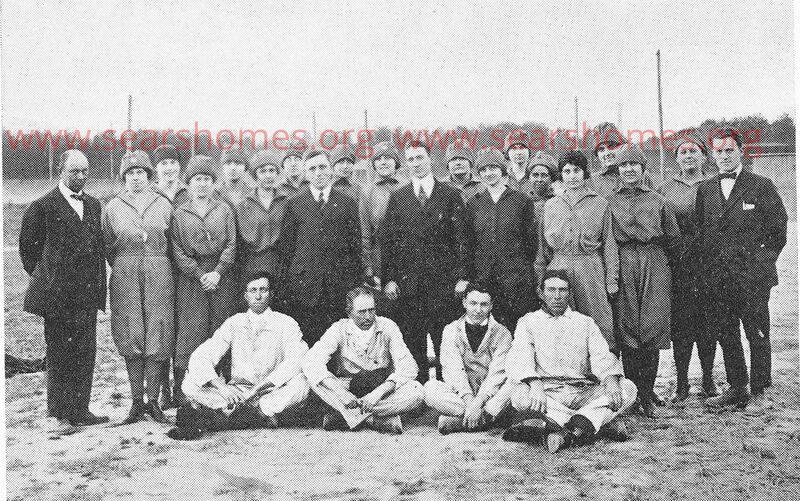 Here's a picture of Mr. Warren Hastings, standing in front of the homes in Riverfront. And it all started here - in Penniman. 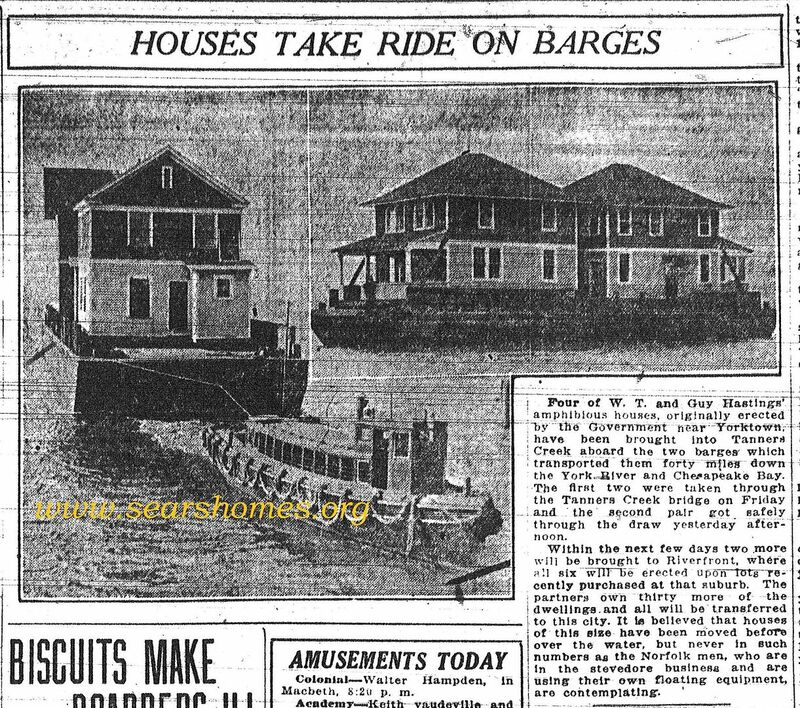 To learn the details of how Mr. Hastings moved these homes by barge, click here.